NHS foundation trusts (FTs) are providing the widest ever range of services to patients in order to protect their health and wellbeing. However, the health regulator has warned trusts of the need to continue to improve how they operate - including making radical changes to how care is delivered - if they are to counter the intense pressure they’re under from an increased demand for care and a worst in a generation financial position. Monitor’s analysis of trusts’ performance between April 2015 and June 2015 shows that England’s 151 FTs (the majority of NHS providers) missed a number of national waiting times targets, including in A&E, for routine operations and some cancer treatments. Trusts also struggled to deal with an increase in demand for diagnostic tests, partly due to staff shortages and ineffectively organised services. For the second successive financial year, the sector has recorded a deficit (-£445m) in the first quarter. Trusts have cited higher than expected pay costs - after over-relying on expensive agency staff - as being the primary cause of this deficit. This report covers the period before the recent action to limit the amount trusts spend on agency staff and management consultants. 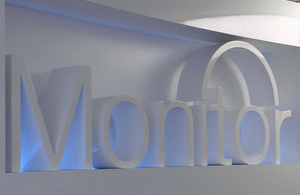 Since July 2015, Monitor has launched a series of initiatives aimed at helping trusts improve the quality of care, access to services and drive up their productivity. Trusts are working hard to provide patients with quality care. However, today’s figures reiterate that the sector is under massive pressure and must change to counter it. The NHS simply can no longer afford operationally and financially to operate in the way it has been and must act now to deliver the substantial efficiency gains required to ensure patients get the services they need. Monitor has already taken action to help the sector improve operationally and financially and continue to offer our support and guidance. But the FT sector must realise that a radical and lasting change is required. Monitor intervened or agreed regulatory action at 37 trusts (25% of the sector) because of operational or financial concerns. The NHS Trust Development Authority has today also published the overarching financial position of NHS Trusts for the first quarter of 2015/16.